There have been advancements in establishing international accounting standards in the last years. But measures still vary greatly from country to country, and China is no exception. As it is generally understood, accounting standards in China differ quite substantially from standards in Europe or the United States. Foreign companies are advised to look for local accounting support when setting up a new legal entity in China. Accounting outsourcing services and tax advisory services in China are on the rise. Having local expert knowledge helping you find the way through the accounting jungle is often the only solution to stay away from (additional) government red tape and lengthy procedures, or even hefty penalties. 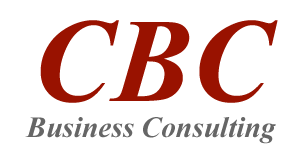 CBC provides China accounting services and tax filing services since 1995. We have worked with dozens of clients in the past years; many of them stay with us for continuous support. They are small- and medium-sized foreign companies, representative offices or wholly foreign owned enterprises (WFOE), which value professionalism and reliability when it comes to accounting services. With CBC on your side, you take advantage of our local and international expertise. Our teams of accountants are able to provide expert knowledge on a vast range of country-specific accounting issues in China. With years of experience, we understand the complexities involved and keep our clients’ accounting practices in compliance with the rapidly evolving accounting system. CBC serves clients in Shanghai, Beijing, Guangzhou, Shenzhen and in second tier cities including Chongqing, Chengdu and Tianjin.